It looks a little funny. One side is flat and the other is raised and ridged, which means it’s not attractive. But then again, functional things rarely are. Also, your flat laptop case won’t give you a way to massage your feet when they’re tired and hungry. 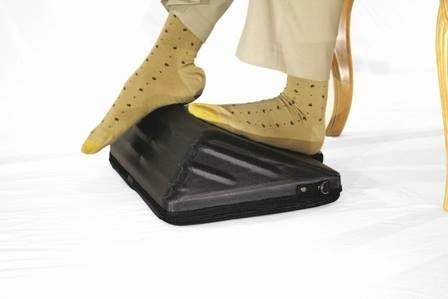 Unfortunately, this isn’t some sort of vibrating bag, instead you have to run your feet over the case yourself manufally, but that is actually part of the purpose of the product, as it is designed to force you to move your legs and so help your blood circulation. 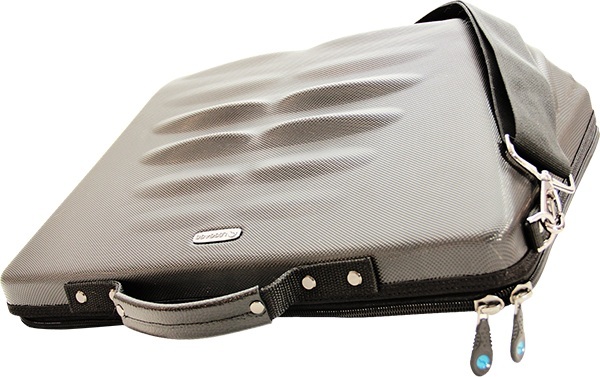 Originally this case was designed for people who spent long hours traveling on planes, to help them maintain blood flow. Which is a great idea, but I’m really imagining it under my work desk for various more static benefits. The case features inside pockets to hold ID, important paperwork as well as mouse and cables for your computer. Of course it will also protect your laptop on bumpy rides. The Leggage Laptop Case is $79.99.